Whether your feline friend likes it or not, bath time can be a necessity for their health. You may be tempted to purchase a commercial shampoo from the local pet store, but there’s a better option. With a homemade version, you can control exactly which ingredients your cat is exposed to. What do you need to know to learn how to make homemade cat shampoo? Follow along as we teach you everything you need to know about making shampoo for your cat! Why should you bathe your cat? Many cat owners are surprised to learn that bathing their cat could be necessary. There’s an old myth that cats are inherently clean creatures, and this is true to some extent. Their rough tongues are perfect for licking off dust and dirt that leave their coats feeling grimy when you snuggle up with them. However, an outdoor cat, a long-haired cat, or a certain breed may not be able to do this as effectively. 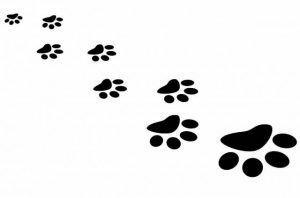 Large debris and particles may make their way off the fur easily enough, but smaller items may be tangled in it. Cats can become too dirty to keep up with using these methods alone though. A bath with an effective shampoo can help your cat to feel clean. This may make their skin feel better, as well as make it more enjoyable for you to pet them. A cat bath can be beneficial for their health, the quality of their coat, and their skin to receive a thorough cleaning once in a while. Are you finding it hard to picture dunking your feline in a sink full of water? 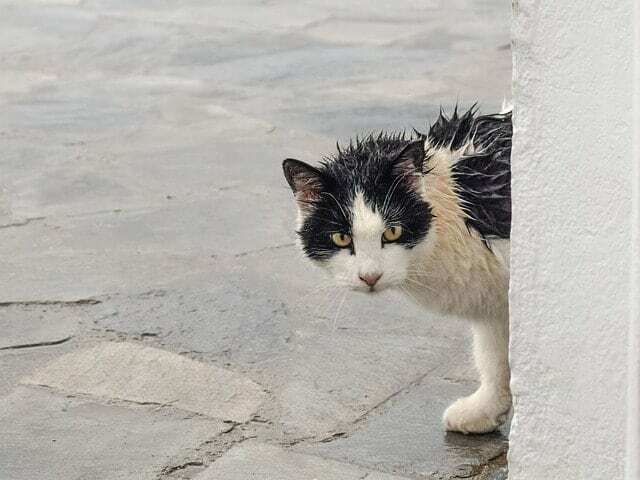 If you haven’t exposed your cat to water since they were a kitten, you may be fighting an uphill battle when it comes to giving them a “proper” bath. Many cat owners find it preferable to use a dry shampoo instead. Dry shampoo can penetrate all the way through your cat’s fur, clinging to dirt and debris. You can then brush it out easily enough. The downside to dry shampoo is that it is an inherently messy process and can take much more time to thoroughly clean your kitten. Wet shampoo is a great option for cats to get the process over with quickly. You’re probably fairly efficient at shampooing and drying, whether you practiced on your cat or your kids. All you have to do is wet your cat’s fur and rub in the shampoo for a finished feline that is sparkling clean! If you’ve been eager to learn how to make homemade cat shampoo, you’ll want to learn this easy secret. It only requires one ingredient! Warm up some baking soda (for odors) or oatmeal (for skin problems) on a tray in the oven for five minutes. The temperature should be set extremely low, around 250 degrees. 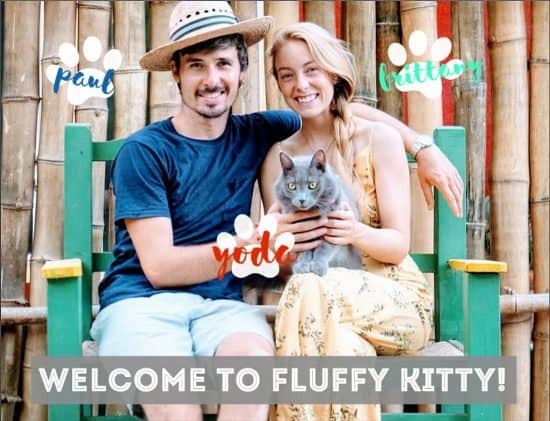 While you wait, put your cat either outside with you or in the garage over a mat because this will be messy. Brush out everything you can before you get started. Then, retrieve your warm ingredient and massage it into your cat’s fur, making sure to get it all the way into their skin. You may find it easier to use a towel during this process. Allow it to sit for five minutes, then wipe it off and brush the cat’s coat thoroughly. Mix the ingredients together thoroughly and add a little water (3 cups) to make it easier to use. Then, you need to wet your cat and lather them up! Be sure to rinse thoroughly to prevent your cat from feeling itchy later on. Some people may be tempted to add essential oils to their cat shampoo, but this should be avoided. 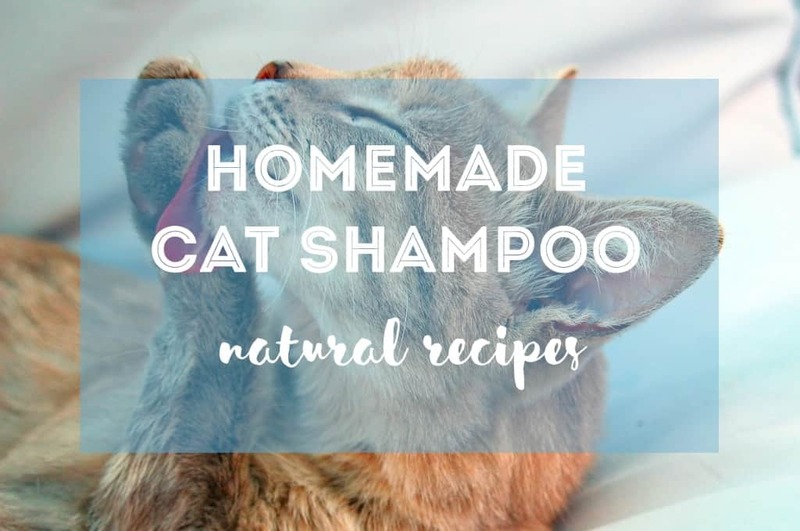 You can gain all the benefits of using natural products when you learn how to make homemade cat shampoo. No need to spend money on expensive store products that are full of risky chemicals. Whether you opt for a dry shampoo or a wet version, your kitty will be cleaner than ever before with a homemade cat shampoo!